Thank you for visiting our stand at Expo Sweet 2019 fairs in Warsaw. We presented the newest refrigeration solutions for bakery, ice cream industry, confectionery, and bistro bars! The ES SYSTEM K offer includes a collection of refrigerating solutions to small shopping facilities - convenience stores. Cabinets that are occupying the minimum amount of space in the store and can efficiently cool the rich display. They are also solutions from the energy-saving categories. Check the tab: plug-in. For large-format facilities, select the line with the best parameters - OPTIMUM. Check the tab: remote. INSÙ - Revolution in ice cream industry! INSÙ fits perfectly into the cosy atmosphere of the hotel's foyer, or the interior of the restaurant, where we usually spend time with our whole family. Already at the moment of crossing the treshold we desire the dessert at once, because the special construction of the unit makes the products much more visible than any other traditional counter. We can also see ice cream flavors from the consumption zone, we do not have to use the menu card anymore. The opening of the individual drawers facilities the customer service, making it tidy, clean and simple. This function allows the operator to serve the ice cream in an ergonomic manner keeping an upright body position, without unconfortable and exhausting body movement. INSÙ will also look great in the urban interiors of cafes and ice cream parlours. It will delight all lovers of handmade ice cream with surprising flavours. They will appreciate the modern character of the cabinet and the associations with the smartphone will be apparent for them. Explore the new energy-saving refrigeration line dedicated to supermarkets - OPTIMUM. 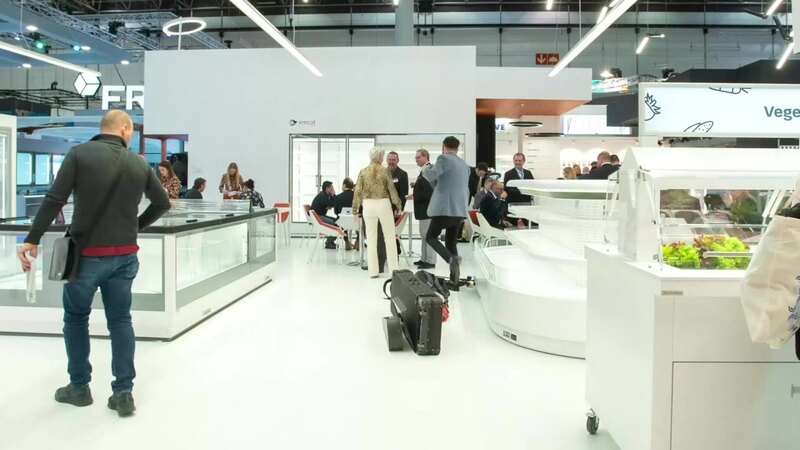 During this year's EXPO SWEET 2019, we presented modern refrigeration solutions for: a bistro bar, hotel restaurant, bakery, confectionery and ice-cream shop. During the 40th edition of the International Fair of Ice-cream, Confectionery and Bakery SIGEP, we presented our new product dedicated to the ice industry - the INSU' cabinet.